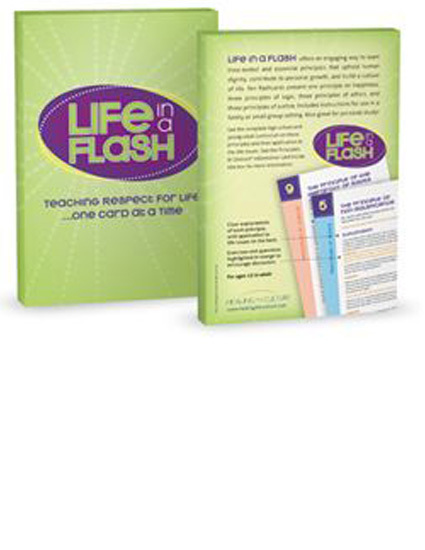 LIFE in a FLASH is a fun and interactive set of 10 laminated flashcards that teach the 10 Life Principles. 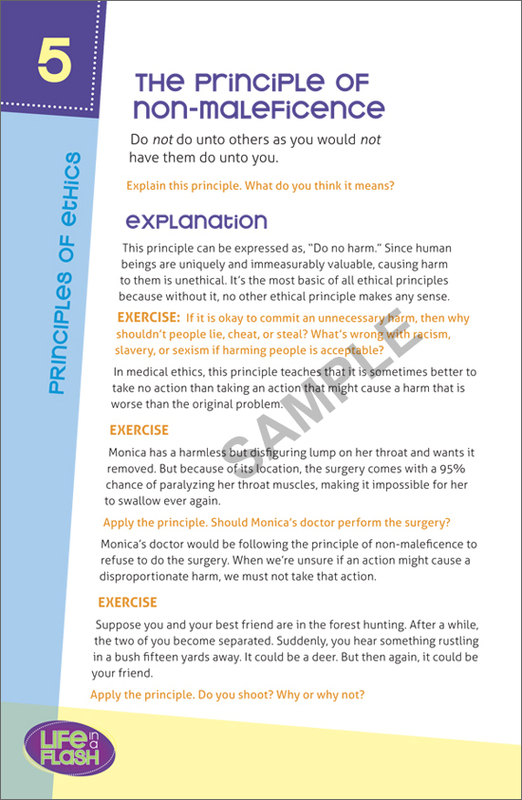 Each card includes an explanation of the principle on the front of the card, and a dilemma on the back of the card which the players must resolve using the principle they have learned. Each card is full color, laminated, 5.5 x 8.5; and comes in a beautiful and handy box. …teaching respect for life, one card at a time. LIFE in a FLASH is a fun and interactive set of 10 laminated flashcards that reinforce learning in the Principles and Choices high school curriculum. 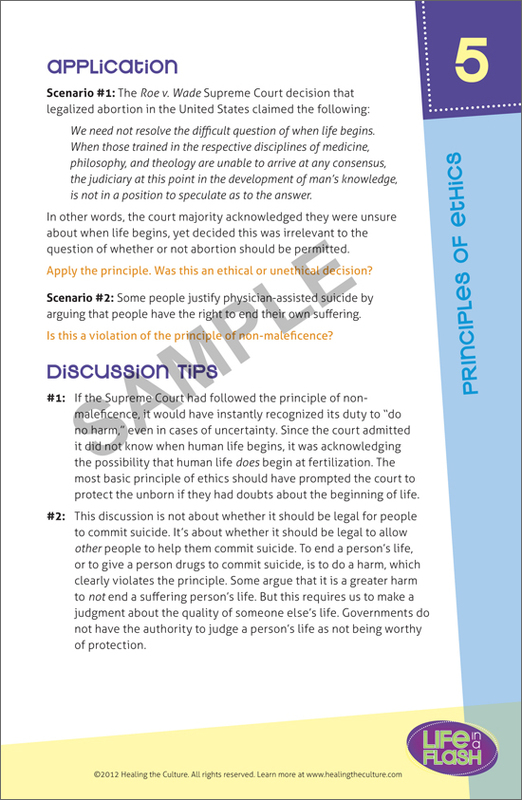 One box contains a quick summary of all ten key principles taught in Books 1-3. 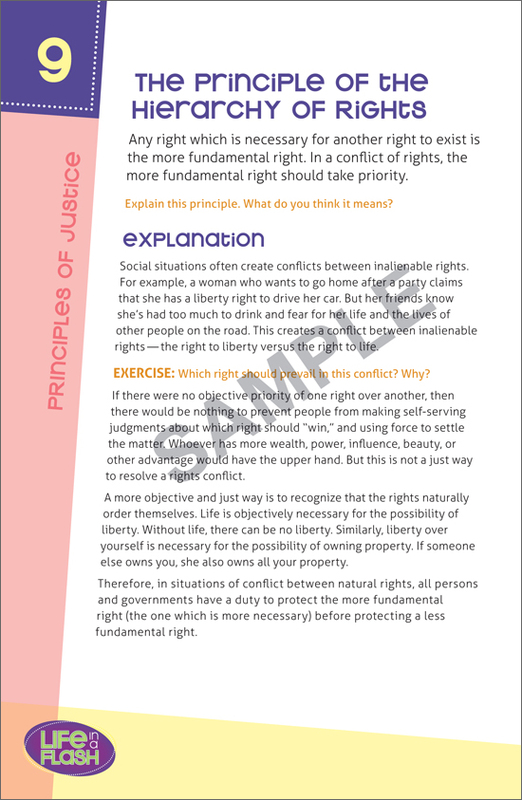 Each card includes an explanation of the principle on the front of the card, and a real-world dilemma on the back of the card which players must resolve using the principle they have learned. Includes instructions for use in a group setting. LIFE in a FLASH moves the debate beyond competing bumper sticker slogans and emotional sound bites. 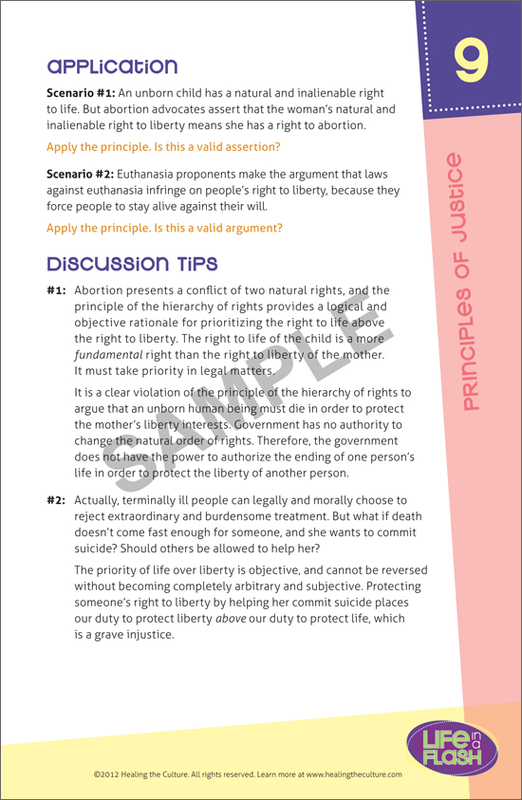 Instead, it uses reason and real-world examples to help you have an intelligent conversation on the life issues. Can a terminally ill person with only weeks to live have a high quality of life? Can science prove the fetus is a person? How can we tell the difference between truth and opinion? Are some human beings worth less than others? Does human value depend on how developed we are? Is physician-assisted suicide just a personal choice? Is abortion justifiable if a child will be born with a disability? Can a fetus be a baby if you want it to be, and not a baby if you don’t?